One of the main areas of difference between homeschooling vs public schools is the daily environment. The following article compares learning in a classroom to learning at home. For information about academic differences between public schools and home schools, read part 2 of this article, Homeschooling vs. Public Education. Since most of us were taught in classrooms, it can be difficult to understand how children can be well-educated at home. Adults in a homeschool setting are familiar with and committed to the success of each child as an individual. Although most public school teachers are also committed to seeing children succeed, they have more difficulty getting to know each child on a personal level, and must sometimes sacrifice the needs of individual students to meet the needs of the class. Homeschool students are taught in a diverse, cooperative environment. Unlike public school classrooms, where children are segregated by age and are often in classes with those who share their race and socioeconomic status, children who are homeschooled learn in a multi-age, real world environment. Instead of competing with peers for grades and attention from instructors, children learn to work to their full potential, while encouraging siblings to reach their full potential, as well. Home is a safe environment. Homeschoolers learn in an atmosphere that is free from the teasing, taunting and bullying that can leave children with lifelong scars. Children who are homeschooled have time to mature emotionally, physically and academically without having to worry about facing ridicule and negative peer pressure from friends. Home schools provide consistency and security. Instead of changing teachers, classrooms, and sometimes schools from year to year, homeschoolers remain in a familiar, comfortable environment. Because they don't have to adjust to new classes and instructors, children can focus their attention on the main thing - learning. 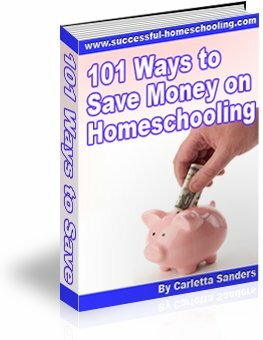 Homeschools provide an atmosphere of freedom and flexibility. Because homeschooling is more efficient than public schooling, children have more time to pursue their interests and hobbies. Parents also have the flexibility to choose curriculum and teaching methods that fit their children's learning style; thus, creating an environment where children can not only survive, but thrive! Here's a chart that further examines the differences between homeschooling vs public schooling.